Description of Site: Custom WordPress Website that client would love. Got a smartphone? Scan code to visit EBKIII.com! Description of Site: Need a site to showcase his videos and audios for anyone to see. I knew a mobile-ready theme was the answer to his wishes. Have you heard of Studiopress Themes? 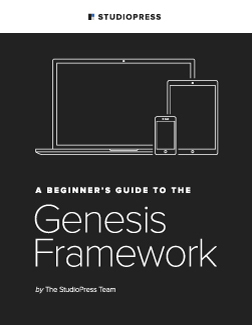 Genesis Framework? Are you backing up your website? I have been adding a website backup process that backs up websites automatically with an awesome tool called BackupBuddy. It is a WordPress premium plugin. I saw premium because it does have a cost involved. And the great news for you is – they offer support as you need it, training to help you learn more about the plugin and it’s ongoing changings to make it even better and a complete wordpress backup solution for your business and with that you can save 25% through this Friday (September 16th) by using coupon code BACKUPLOVE at checkout. Click here to get started with BackupBuddy today! If you want to start a website or blog and just unsure how to get it up and going – then this might be a great deal for you… because It’s Blog Week at MomsTalkBiz. Mom’s Talk Biz and Mom Webs hosting has teamed up to give you an easy start on a brand new WordPress blog on your own hosting account! If you’ve been wanting your own blog – or you have a blog on WordPress.com or Blogger.com and want to move to your own hosting, this is the opportunity you’ve been waiting for! Everyone In Business NEEDS A Blog – Now’s The Time! Learn more about this opportunity here –> BLOG WEEK! Are you needing some assistance with your new WordPress.org website? I have the answer for you – you can do-it-yourself too! 2. Kelly McCausey’s WordPress Orientation interactive class, currently at $29 – lifetime membership. What is your favorite WordPress.org Plugin? Favorite – gosh there is sooo many hard to have just one favorite. I have learned that I will take what everyone shares with me and at least try it out – if I don’t like it I can always deactivate it and delete it. But if I try it — I might just really like it. Sign into your WordPress.org site and you will be taken to your dashboard. Look in the left column about half way down for a image that looks like a plug-in end and the words Plugins. Hover over the word Plugins and in the upper right corner you will see a down arrow. Click on the down arrow to reveal menu options >> Installed >> Add New >> Editor >> Akismet Configuration. At this point we want to Add a plugin so click Add New. Next you will want to search for the plugin to install it. Once you find the plugin click Install which is in the right column. The wordpress.org platform is amazing… it will install your plugin and then you just have to click Activate when you are ready to start using it. Staci’s helpful tip: REMEMBER to check your website at least monthly for any plugins that need to be updated. I usually check weekly after my website is backed up. *HINT: That is another plugin that I use. It send me an email that my site was backed up. And I get a file that I can use if I ever would need to restore my site. Imagine how many posts I have in my blog – and if I lost everything – OH MY GOSH – right!?! Have to have things in place and thank god for plugins and great hosting service. 1. Sign into your wordpress.org website. Which is usually yourdomain.com/wp-admin. 2. Once you sign in you will be taken to the dashboard of your wordpress.org website. Look to the left column and you will see various options. Look for the thumb tack with Posts next to it. Hover over the right hand corner and you will see a down arrow to appear – click the down arrow and you will see 4 menu options >> Edit >> Add New >> Post Tags >> Categories. A. If you already have a blog post that you need to EDIT then click edit and find the blog post title that needs edited… hover over the blog title and select Edit which appears right below the blog title. B. If you need to create a blog post click ADD NEW. 3. Next you will be taken to a new webpage with the title ADD NEW POST. The first white box is for the Title or the Heading of the blog post. 4. Below Upload/Insert is a bigger white box and start typing what you want. Over time you will learn to highlight text and then change Paragraph to Heading 1, Heading 2, etc. You can do the same to make it Bold or Italic. So many choices and over time you will be a pro at adding pages and posts to your website. 5. Before you click publish – REMEMBER select the categories and tags that apply to this post. Not sure what categories or tags are – read this blog post! Now you are ready for your second post – just REPEAT! My business coach has helped me a lot since we first were introduced to each other. She has guided me to understand repurposing of content effectively and that if your website does not have a blog — you better get started today. I am going through the notes from last year to finally write the rest of my blog post ideas and I wanted to help you if you are just starting your own blog or unsure if you should even have one. First off YES I think it is a must. I have noticed that depending what I write about people are reading. 1. You need to decide what you want your blog to focus on. 2. From there what Categories and Tags should you have for your blog. This will help you to decide what you will write about. She went into further explanation that Categories are like the items on a Menu and Tags are like the ingredients to the Menu items. So use the Tags to describe what is within the category and these can be the keywords that you want to focus on for each blog post.